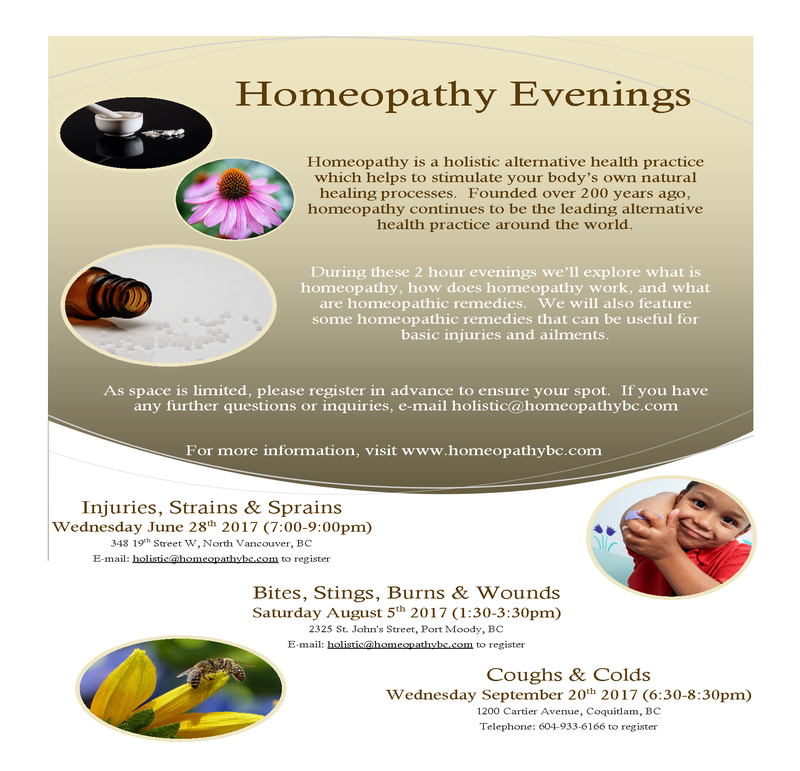 Join us for a 2 hour evening as we’ll explore what is homeopathy, how does homeopathy work, and what are homeopathic remedies. We will also feature some homeopathic remedies that can be useful for basic injuries and ailments. As space is limited, please register in advance to ensure your spot. If you have any further questions or inquiries, e-mail holistic@homeopathybc.com or visit homeopathybc.com.